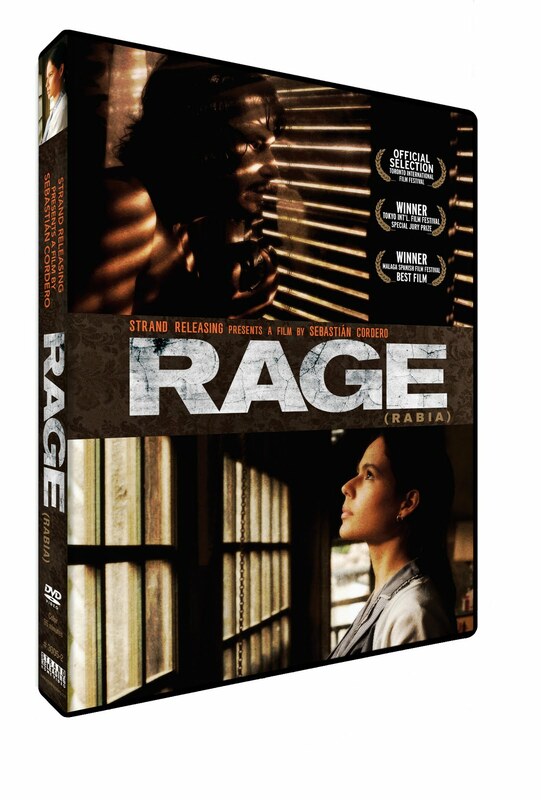 To celebrate the release DVD release of the Spanish thriller Rage (Rabia) on March 8, Strand Releasing is providing 5 copies to give away to 5 lucky From the Front Row readers. The film, which was produced by Guillermo Del Toro (Hellboy, Pan's Labyrinth) and directed by Sebastián Cordero, Rage is the story of two Colombian immigrants living in Spain whose lives are instantly changed by a brutal crime of passion. It's an eerie, gothic thriller with a unique twist on the classic haunted house tale. Look for my review later this week. To enter, send your name and address to contests.fromthefrontrow@gmail.com. Winners will be announced on the DVD's release date, next Tuesday, March 8. Contest open to residents of the United States only. Nice idea here. I just enter my pertinent information by e mail.